Sounds like a great plan, doesn't it? A really great plan. I'll switch to tea, but yes, If we can approach our day with an agenda like that how could we not have a great day. Anything else we "get" done is literally bonus. 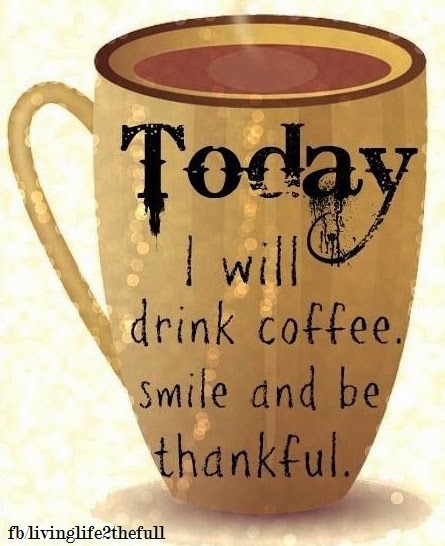 But above all, coffee/tea, a smile, and gratitude.